Congratulations to UQ’s Dr Craig Bell, Dr Chris Howard and CBNS CI Associate Professor Kris Thurecht for being awarded an ARC Linkage Project with Sydney industry partner Aegros Innovations. The project is to manufacture new membranes for the separation and purification of high-value proteins from serum. They were awarded $390,000 over the next three years from the ARC along with $100,000 dedicated funds from Aegros. Smart affinity membranes for manufacture of high-value therapeutic proteins. This project aims to develop next-generation separation membranes for production of high-value proteins from serum. Through a combination of innovative chemistries, biotechnology and engineering, the project will enhance production, efficiency and resolution of membranes for separating complex mixtures, thereby contributing to broader understanding in membrane science. 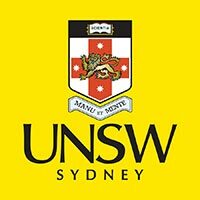 By establishing a strong collaborative link between academic and industry researchers, this project has the potential to significantly value-add to existing and exciting Australian technology by enhancing the efficiency of plasma fractionation, improving isolation of large molecules from complex media and by improving the downstream manufacturing and bioprocessing pipeline.